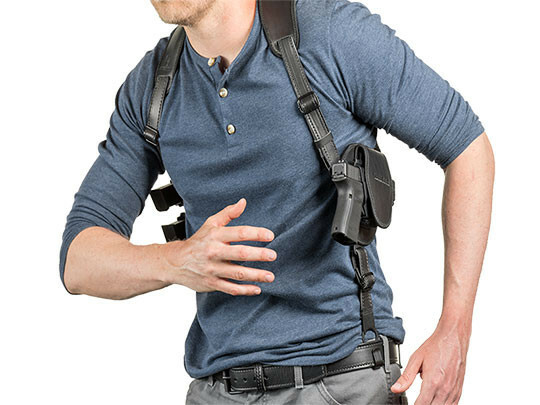 If you want to conceal in comfort without carrying on the waistband, the ShapeShift SCCY CPX-2 Shoulder Holster by Alien Gear Holsters is the ideal implement with which to do it. 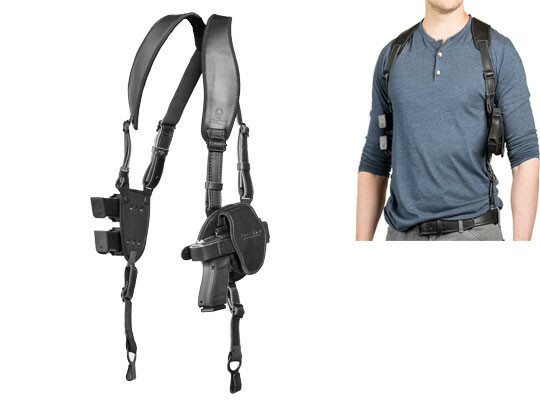 We have spent more than 2 years designing a shoulder holster that overcomes the typical shoulder rig's limitations. 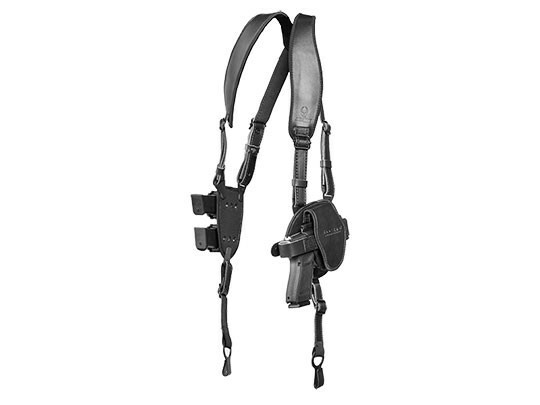 You will feel the difference when you wear our shoulder holster for SCCY CPX-2 pistols. The straps are padded for extra comfort with our CoolVent neoprene, which cushions but breathes against the skin and wicks away moisture. The straps articulate, as they are joined with a clover harness. They find a natural resting point, wearing comfortably. Belt hooks anchor this holster, so you don't have to worry about the flapping effect of many shoulder holsters and the gun is pulled closer to the body for easier concealment. The leather straps have a rough-out side for greater comfort. You also have your choice of black or brown leather. 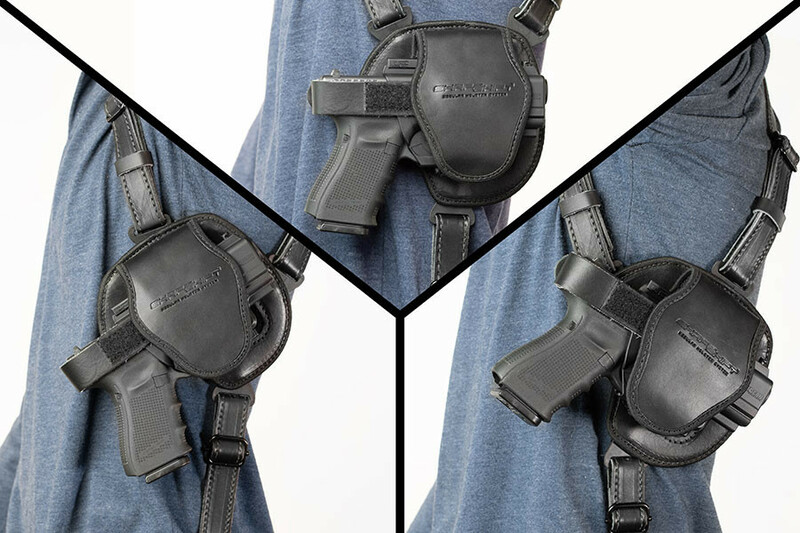 The holster and magazine carrier bases are also padded for greater comfort. 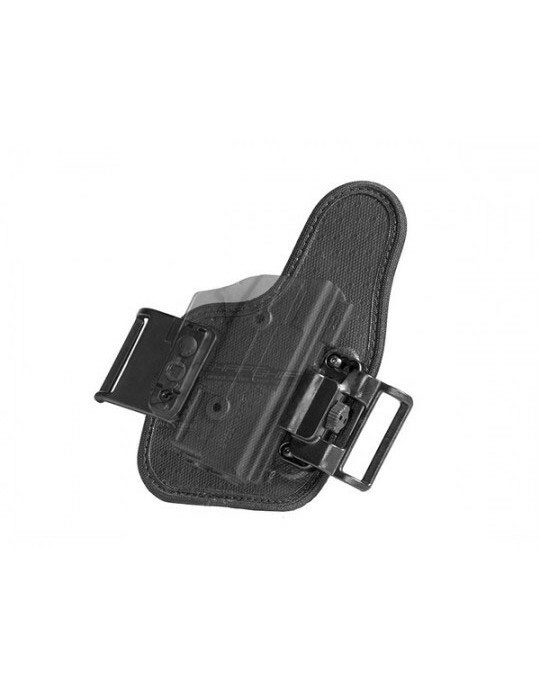 This holster can be comfortably worn against bare skin if desired. 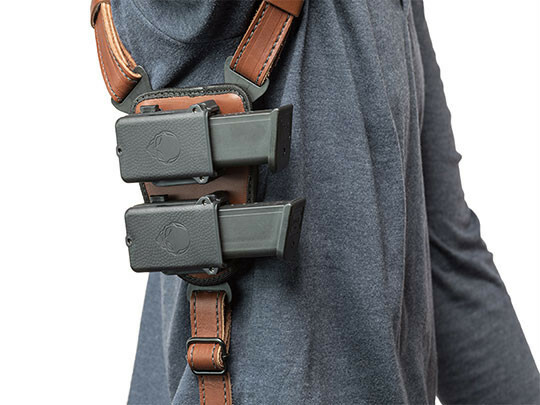 Passive retention is customizable, and you can choose to wear this holster with or without the removable thumb break strap. The ShapeShift shell, custom-molded for the CPX-2, fully wraps the trigger guard for greater security. Forget the anxiety over whether your shoulder rig will fit. 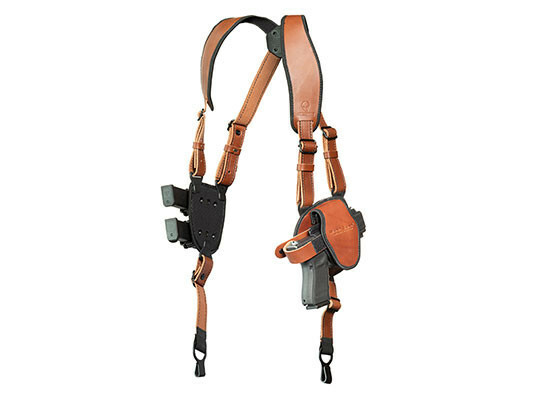 Several inches of adjustability are built into this leather shoulder holster for SCCY pistols. You can set it to the exact length you prefer. You can also set ride height of the holster itself, whether you prefer your gun to ride lower toward the belt or higher up into the ribs. You can also adjust the cant angle, allowing you to carry high, tight and horizontal or setting the gun lower and carrying as a CPX-2 vertical shoulder holster. You can also rest easy knowing your SCCY CPX-2 shoulder holster comes backed by the Iron-Clad Guarantee that Alien Gear Holsters is known for. You get a 30 Day Test Drive trial period and a Forever Warranty on the holster. Shift to a better carry and start your Test Drive today!